Chines telecom and smartphone giant, Huawei has launched launched world’s best mid-range, the all new Huawei Honor 7i in China on 20th Aug. priced at CNY 1,599 (approx. Rs. 16,500) for the 2GB RAM + 16GB variant and at CNY 1,899 (approx. Rs. 19,500) for 3GB+32GB Variant. Huawei Recently launched Huawei Honor 7 in China priced at CNY 1999 (Approx. Rs. 20,500) for the 16GB , CNY 2199 (Approx. Rs. 22,600) for 16GB for Dual SIM and at CNY 2499 (Approx. Rs. 25,600) for the 64GB in China. how ever it’s global launch is not confirmed yet. The all new Huawei Honor 7i comes both Single and Dual SIM variant supports Dual 4G Network, NFC, 3G, Dual Band Wi-fI, Bluetooth,GPS and USB just 7.9mm thick comes with a bigger 5-inch Full HD (1080×1920 pixel) display with a pixel density of 423ppi for superior gaming experience and picture quality while 64-bit octa-core Snapdragon 616 processor (clocked at 1.5GHz quad-core + 1.2GHz quad-core) and runs on Android 5.1 Lollipop with 2GB/3GB RAM, 16GB/32GB Internal memory and 32GB expandable memory promising blazing multi-tasking. 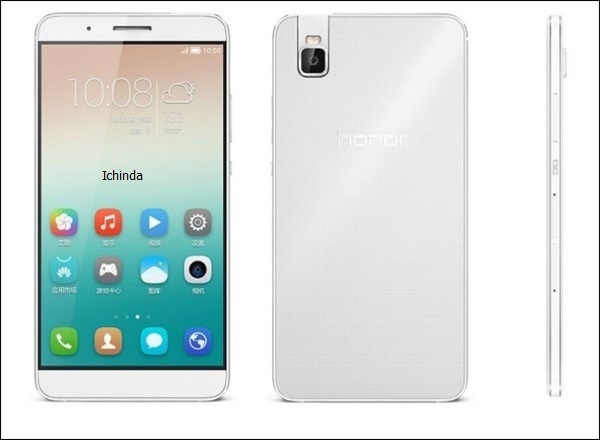 Huawei Honor 7i sporting a 13-MP Rotating rear camera with Sony IMX230 Exmor RS BSI sensor, laser autofocus and dual tone LED flash support Panorama, HDR, Acoustic photographs, watermark pictures promising superior photography in low light and best for video calling and selfi packed with 3100mAh battery with Quick charging including 2nd generation fingerprint sensor measures 141.6×71.2×7.8mm and weight is just 160 gm inclduing second-generation fingerprint sensor. At last few honest word, Huawei Honor 7i is coming to rule mid-range market in India and China. What you think? Please be open to give your view.